During the holiday season it always seems like bicycles are on gift lists, and this includes the American Red Cross. 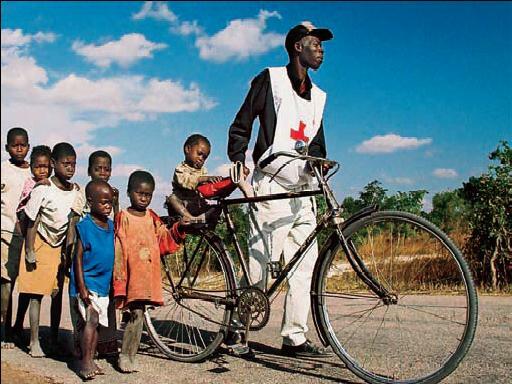 The Red Cross’ Holiday Giving Campaign has a few items in it that we see everyday and think nothing of, like a bicycles. Throughout the world, there are roads that cars and trucks still cannot pass, which means there are only a few ways to get into certain areas that really need help. International Red Cross volunteers sometimes have to walk through these areas, which takes time that could be used for helping if they had another means of transportation into the areas. A bicycle will provide an international volunteer with transportation so that they can travel on impassable roads to give aid and inform remote families on preparedness and other training. For $75 a bicycle for a single volunteer can be purchased or for $300 four bicycles for a team of volunteers can be purchased.